When Brigadier James Phelan returns from Afghanistan with the body of a young soldier killed under his command, he is traumatised by the tragedy. An encounter with young Sydney tattoo artist Kira leaves him with a permanent tribute to the soldier, and it is a meeting that will change the course of his life. What he isn’t expecting on his homecoming is a campaign of retribution from the soldiers who blame him for the ambush and threaten his career. With his marriage also on the brink, his life spirals out of control. Years later, Phelan is surprised when Kira re-enters his life seeking refuge from her own troubles and with a young son in tow. She finds a way to help him make peace with his past, but she is still on the run from her own. 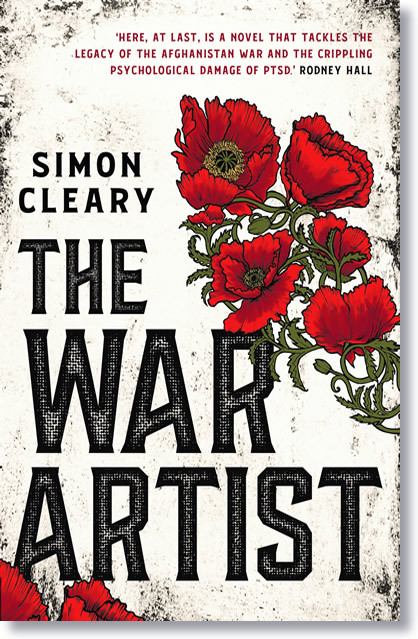 The War Artist is a timely and compelling novel about the legacy of war, the power of art and the possibility of atonement.